The Artist Edition features a signature by the author and a detailed original sketch inside the book! This hilarious comic strip collection takes a satirical spin through today's technology while poking fun at all that goes into our modern plugged-in lives. Follow Sam and his tech savvy roommate Miles (who happens to be a talking dog) as they try to survive the worlds of tech journalism, software development, dog stereotypes and pop culture. Fully Charged with techie nuances, it's the perfect book to power down with at the end of the day. 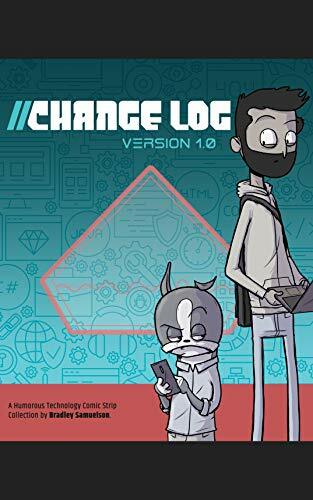 The standard version of Change Log is also available on Amazon (and eligible for Amazon Prime) and on Kindle. Line Height is the creative outlet of Brad Samuelson, a cartoonist and web developer. While those two disciplines can seem a bit of an odd pairing, Brad has used his unique mix of skills to help clients and push personal projects in fun and innovative directions. For as long as he can remember, Brad has been drawing and creating stories. He began posting his comics online in 2008 with his first comic strip, As the Grass Grows. In 2013, he created the sci-fi graphic novel, Sector Four. 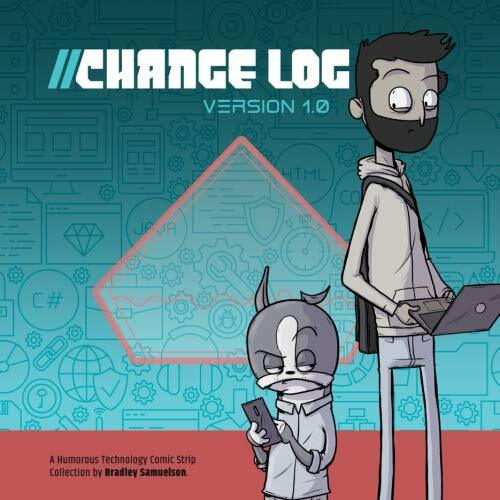 His latest comic, Change Log, started in 2016 and follows the antics and adventures of a technology journalist dog and his software developer (and human) roommate. Brad has been designing and developing websites and user interfaces for over 15 years for a wide range of clients and industries.